What Does the Future Hold for the Once-Mighty Nintendo? Japan-based Nintendo (NTDOY) has, in recent years, made huge strides in the game market, reaping huge rewards with not one, but two bestselling game hardware systems in the Nintendo Wii console system (which has shipped close to a million units worldwide since its 2006 launch) and the various versions of the Nintendo DS handheld system (which has shipped more than 150 million units worldwide since its launch in 2004). The hardware was widely praised for its innovative control schemes–the Nintendo DS handheld not only came with a standard directional controller pad, but also with a stylus and touchpad, while the Wii shipped with a revolutionary wireless motion-sensing controller known as the Wii Remote. With these new hardware platforms, Nintendo strengthened its position as a company whose game products could be enjoyed by users of all ages, such as with the family-friendly Wii Sports (a Wii game that lets players play by swinging their Wii Remote controllers to simulate swinging a baseball bat or tossing a bowling ball). 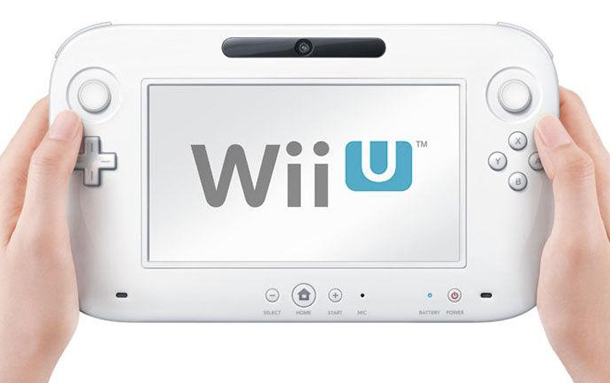 Is Nintendo's upcoming Wii U console the company's best future prospect? But the company has lately been facing new challenges, including the problematic reception of its next-generation 3DS handheld, a higher-definition, glasses-free stereoscopic 3D version of the DS which launched in 2011–and which has struggled to meet sales expectations. While the DS enjoyed a shelf life of some seven years–with plenty of software support both from in-house Nintendo studios and third-party developers, the 3DS launched with a lackluster games library and features (such as an internal accelerometer and onboard cameras that can take 3D photos and capture 3D video) that have yet to distinguish themselves as anything other than gimmicks. Last July, the company slashed the price of the hardware from its initial $250 US price point down to $170 US inNorth America. Yet in its most recent financial forecast, Nintendo went on to revise its hardware figures for the 3DS from 16 million shipped down to 14 million shipped; and the company also revised its estimates for 3DS software shipped from 50 million shipped down to 38 million shipped. In the same report, Nintendo revised its estimated shipping numbers for its Wii console from 12 million down to 10 million (though the company didn’t change its initial estimate of 100 million shipped for Wii software). Based on these figures, the company expects an annual loss of 45 million yen (approximately $575 million)–its first annual loss in decades. Later this year, Nintendo is rumored to release its next home console, the Wii U, whose unusual hardware includes both a console and a separate wireless controller that acts as a touchpad–a prototype version of the controller shown at 2011’s Electronic Entertainment Expo trade show resembled nothing so much as a tablet computer (think iPad or Samsung Galaxy) with onboard control pads and buttons–and two days after the new system’s unveiling at the event, the company’s stock plunged to new five-year lows. Most recently, the company has announced “Nintendo Network,” an online system that will presumably operate in a manner similar to Xbox Live and PlayStation Network, the online services run by rivals Microsoft and Sony for their Xbox 360 and PlayStation 3 consoles, respectively. With Wii U Network, Nintendo is apparently planning to allow for full online game purchases and has confirmed it will allow for the model of traditional for-pay downloadable content (“DLC,” additional game content that game developers often add to their existing games after releasing them). With few high-profile game products on the horizon and seemingly no clear answer to its challenging circumstances beyond a traditional online content model similar to its competitors, Nintendo’s future is uncertain, to say the least. ← Who Owns Your Twitter Account? Who Owns Your Twitter Account?